Orlando, FL - March 3, 2009-- CoreCard Software (http://www.corecard.com), a leading provider of prepaid and credit card processing licensed software, announced that Managing Director, J. Leland Strange, will act as moderator for the “Cost Cutting via Prepaid Cards” panel at the Prepaid Card Expo 2009 in Orlando, FL. The panel will be held on Tuesday, March 10, 2009 at 11:35 am. Strange intends on engaging “Cost Cutting via Prepaid Cards” panelists in discussions on how prepaid cards play a role in the unbanked population of America, trends in electronic payroll administration, paperless payroll offerings and available options, benefits to companies offering prepaid cards and key metrics from case studies. Panelist will include Elisa Corridore, Vice President of Global Product Development, MasterCard Worldwide (http://www.mastercard.com/) ; Kevin Lee, CEO, Skylight Financial (http://www.skylight.net/) ; and Rich Jackman, Senior Vice President, First Data (http://www.blogger.com/www.FirstData.com). CoreCard (http://www.corecard.com/) licenses transaction processing and account management software and is a custom processor. Combining unparalleled industry experience with end-to-end software capabilities across the payment industry, CoreCard's products provide next-generation software solutions from merchant acquiring (CoreACQUIRE™), card issuance and account management (CoreISSUE™), disputes management (CoreDISPUTE™) and collections management (CoreCOLLECT™). Corecard's solutions provide easy to use parameter-driven controls, real-time transaction processing, built-in fault-tolerance, and a fully scalable architecture. CoreCard's software provides the market's most feature-rich platform for processing and managing prepaid/stored-value cards, fleet cards, credit cards, debit cards, commercial cards, and private-label cards. Headquartered in Norcross, GA, CoreCard is a subsidiary of Intelligent Systems Corporation [NYSE Alternext US: INS]. For more information, call 770-564-8000 or visit http://www.corecard.com/. Founded in 2006, the Prepaid Card Expo has quickly established itself as the world’s largest gathering of prepaid, stored value and emerging payments professionals. 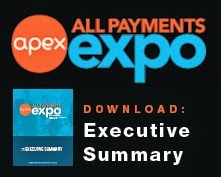 Prepaid Card Expo offers unparalleled opportunities to learn, buy and sell and interact with over 2,500 of industry professionals and counterparts across a variety of vertical market segments. The 2009 Prepaid Card Expo will be held in Orlando, FL from March 9 to March 11.